Today I was at my aunt, who is famous (within the family) for the good food and the originality of the presents we all get. I have to say this is always the most exciting thing about my birthday and christmas, what I get from her as a present. Well, this year I got the best present ever. 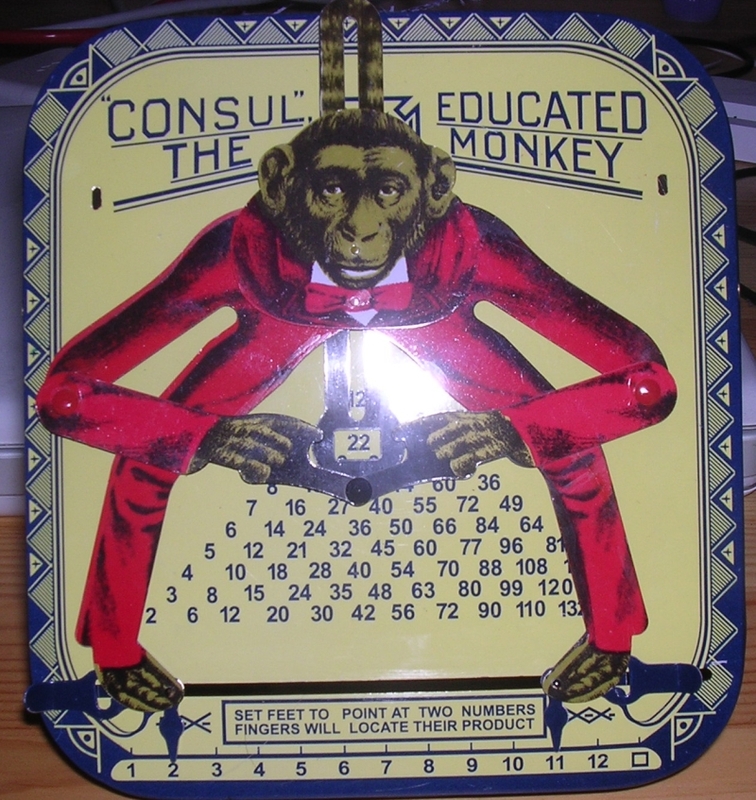 It is called "Consul, The Educated Monkey", and is a funny slide-rule-like tool solely for multiplying the (natural) numbers from 1 to 12 with each other by moving the two feet of the monkey to the two numbers you want to multiply. The monkey then points at the correct result with his fingers. See the picture for how "Consul" looks like. Very entertaining.